Are we witnessing the break-up of Europe? Is the Grand Dream over, and was it ever a reality? Has the initial vision of Adenauer and his co-founders come to its conclusion? Has the pendulum moved from progressive integration to the rise of nationalism? Over the last five years the European Union, in the face of the world monetary crisis, has shown itself unwilling to act or incapable of acting in a cohesive way. While the economists struggle with the budgetary implications of the crisis, the politicians seem incapable of seeing anything of the original vision. The cost of everything is calculated except for the cost of chaotic disintigration. There are no good countries or bad countries in this crisis, though there is endless evidence of appalling and contradictory decisions being made by management. Voters tire of austerity and will always revert to secular self interest when push comes to shove. Ther is no affinity between Larnaca and Leipzig. The pity is that every country is now only looking after itself, and the very democracy that Europe so espouses is the mechanism for bringing the house of cards down. Like an observer looking at a fire in a house, hoping it will somehow go out, or be tamed, I am watching incredibly from the periphery of the continent. I am aghast at what I have seen in my own country, Ireland, and throughout the continent. After Ireland was bullied into underwriting international speculators, in the name of European Solidarity, we now find that it wasn’t necessary after all, and that Cyprus can not only “burn the bondholders” but also the ordinary citizens. 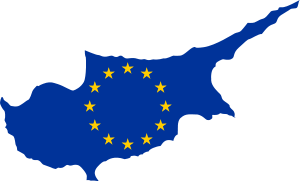 Cyprus has reached new bounds in so many ways, and it points to a sad vista that undermines the very fabric of the EU, and paves the way for resurgent nationalism with all its nastiness. I am starting this blog to document the crisis that is unfolding. I want to have an “ordinary person’ perspective on what is going on. I have no training in economics, and I consider that an advantage. My heart will always be hoping for European Integration in the greater sense. I would not care for integration that is based on a monetarist view of Europe that is schewed towards the transfer of power and money to the politico-industrial powerbase, and ignores the contribution of the periphery. 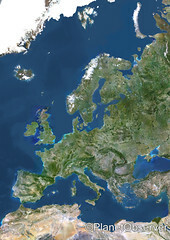 Such a Europe is an anathema to the dreams of Adeneaur and Co.
Are we witnessing the end of his dream – Hopefully not.